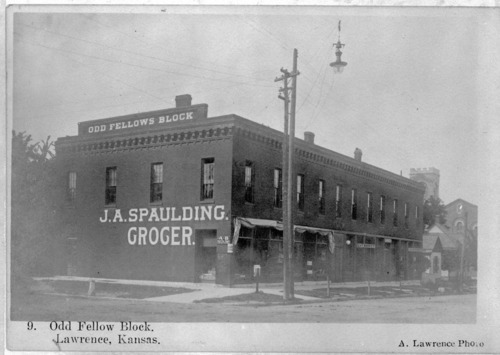 The Odd Fellows Block located at Vermont and Eighth Streets, Lawrence, Kansas, was constructed in 1880. The first floor of the two story building housed local businesses. Later, the building served as an annex for the Eldridge Hotel.